Image search let you access and browse photos from Google search, Picasa, Flickr, Twitpic and Imgur. 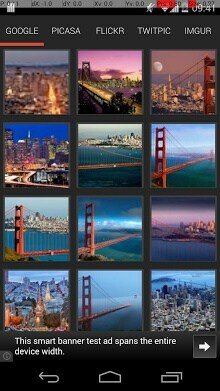 Set any image from the search or part of the image as wallpaper of your phone. 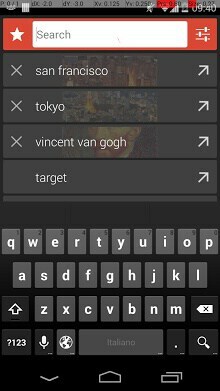 The application is able to store all the keywords used for searches so that you can always go back quickly to previously research or change them. To fit different taste we have introduce two themes Dark and White, go to settings to change from white to dark. With imagesearch you can now see trends of google searches for different countries. – improve speed of image download, images in the grid are a bit blurry but you can see what the image looks like before you download.